Foreign investors doing business in Myanmar should note that foreign companies and their branches of all business are subject to minimum capital requirements in Myanmar. Historically the Ministry of National Planning and Economic Development was responsible for regulating minimum foreign capital requirements for foreign companies on a sector by sector basis. Pursuant to the 2012 Myanmar Foreign Investment Law, capital requirements will be determined by the Myanmar Investment Commission (MIC) on a case-by-case basis depending on the business sector of the proposed investment, and subject to government approval. Both the Permit to Trade and the MIC Investment Permit have a requirement to import into Myanmar a certain amount of capital. earning of more foreign exchange. The “Issued and Paid Up Capital” (in the case of a foreign company incorporated in Myanmar). The “Head Office Fixed Capital Account” (in the case of a branch of a foreign company incorporated outside Myanmar). types of business contracts, i.e. either direct by Head Office with customers in Myanmar, or direct by the branch office; financial status of the Head Office; and status of the branch office, i.e. whether it is still in business, or restricted from carrying on business, or in the process of liquidation. Public companies that want to list on the Yangon Stock Exchange (from 2015) will need to make at least 10% of their shares public. A minimum capital requirment of 500 million Kyats (US $500,000 million) will also apply. Myanmar Foreign Exchange is regulated by the Foreign Exchange Management Law (10 Aug 2012), which supersedes the Foreign Exchange Regulation Act (1 Aug 1947) and is the governing law on foreign exchange controls. As the implementation of the new law is an ongoing work for the Central Bank of Myanmar (CBM), some aspects of the old law may still be observed in practice until details of the new law are announced. Currently, the Myanmar Kyat is non-convertible and non-negotiable outside Myanmar. 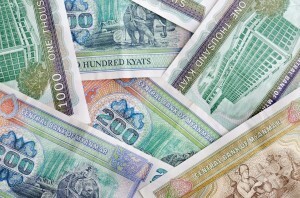 Myanmar follows a managed floating rate for foreign exchange comparison. Remittance of foreign currency into the country should present no problems. Most outward remittances of foreign currency are restricted and require approval from the CBM. Authorisation should be forthcoming provided that there is sufficient documentation to support legitimate expenditures. Notification no. 40/2011 and the Investment Rules regulate the use of foreign currencies in investments under the Foreign Investment Law. The remittance or repatriation of funds, profit and capital are subject to prior approval of the MIC and are also subject to the Myanmar Foreign Exchange Regulations. Repatriation of profits from Myanmar includes the right to repatriate net annual profits, net salaries, any amount of foreign currency permitted by the MIC to be repatriated; and any amount receivable after termination of the investment.